The high level event served as a forum for Roma and Traveller civil society, the Council of Europe and other stakeholders including Cedefop to improve their knowledge, exchange experiences and share best practices, plan future co-operation activities and identify possibilities for promoting VET and Roma and Traveller youth employment. In recognition of the priority need to address the social inclusion of these groups at risk of special exclusion, the Council of Europe Dialogue with Roma and Traveller Civil Society devoted this meeting to the issue of Roma Youth Employment and Vocational Education and Training. Dr. Irene Psifidou gave a key note speech on “Tackling early leaving from education and training among Roma youth: VET tools and policies”. Cedefop expert presented new evidence on how Roma and Traveller young people can be supported by VET policies and more inclusive education systems drawing on Cedefop findings about tackling early leaving from education and training. The low participation rates in education for Roma and Traveller children and youth are particularly alarming since educational factors have a direct and acute impact on life chances. Growing up in segregated neighbourhoods and schools, deprived of being part of the mainstream society, often with limited access to vocational education and training, they are less competitive or often excluded from the labour market. Dr. Psifidou also presented Cedefop newly launched VET toolkit for tackling early leaving which has a great potential to become a valuable source of support for Roma stakeholders. The toolkit contains rich information about effective interventions for marginalised and disadvantaged groups and will be further expanded to include good practices for migrants, refugees and minorities including Roma. 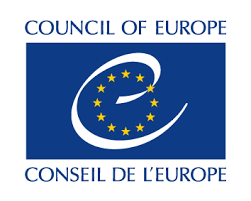 The meeting concluded with Recommendations from the Council of Europe where the role of VET for social inclusion and labour market integration for Roma and travellers as well as the contributions of Cedefop are recognised. Dr. Irene Psifidou's presentation is available here. The event website is available here.